…. Or maybe you just feel like going camping? Are all these zombie shows and movies hinting at something? Regardless, it always helps to be prepared! The zombie apocalypse is inevitably on the horizon and now is as good a time as any to stock up on your equipment. The ENHANCE NIGHTLUX LTN Rugged Battery Powered Lantern with Remote Control is the perfect accessory to help you survive on the rough road ahead. We all remember the movie "The Blair Witch Project." Would there have even been half the drama if they carried around a NIGHTLUX LTN? Most likely not. In the Texas Chainsaw Massacre, they would have easily seen the guy coming from miles away. Story over! Could we at Accessory Genie have prevented all this by introducing the NIGHTLUX LTN years ago? Without dwelling on the past, we are happy to announce the Lantern is available for sale and should heavily decrease the scary woodland nightmares that haunt our dreams. 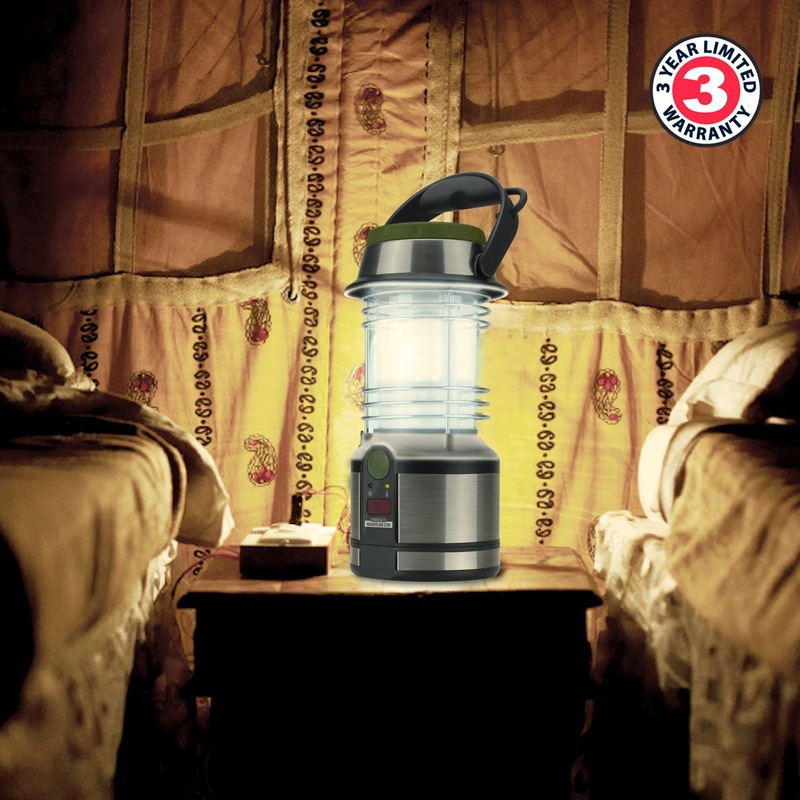 As an added bonus, the Lantern even works perfectly for regular, non-frightening camping and outdoor activities. Imagine that! The shocking news continues…. Starting on Memorial Day, the 26th of May and running clear on through to June 2nd, the ENHANCE NIGHTLUX LTN is a special price of $19.99 with free shipping when you use the coupon code ‘LTNLIGHT’ at checkout. Let this lantern light your way to savings!!! Convenient, durable, and affordable, this battery-powered lantern is designed for any use, inside or out. Perfect to have on hand when the power goes out, as well as camping or hiking. Illuminate your campsite, tent, trail, backyard and more without hassle. The lantern is equipped with 12 bright LED lights, 95 lumens, and offers 360 degrees of area filling light, meaning you’ll never be left in the dark or be chosen as that person the next great scary movie is based on. The lantern operates using three AA batteries and has a runtime of up to 10 hours. A simple twist and release system under the lantern allows for easy battery replacement. This lantern is built to withstand the outdoors. A large rotating carrying handle and palm grips give you the confidence of a non-slip hold. It also touts a sturdy fold out hanging clip in the handle so you can hang or position this stable light source wherever needed. With rubberized feet, rest assured this lantern will stay firmly in place. While your lantern is firmly secured, enjoy the freedom of control from across the campsite. The compact wireless remote enable you to turn the lamp on and off from anywhere within 39 feet away. Whether your snuggled up in a sleeping bag, warm by the fire, or trying to ward off those blair witches, the wireless remote allows you the freedom of power from anywhere. It also comes with a carrying clip to hook onto a belt loop, bag, or keep just to have in your pocket. The red LED light on the remote will flash while in use. Remember, it’s never too early to plan for the next doomsday or zombie apocalypse. Use the coupon code ‘LTNLIGHT’ at checkout to receive the special rate of $19.99 and free shipping. This deal is only good the week of May 26th through June 2nd so don’t miss your chance. When all else fails, this may be that extra edge you need to survive! Celebrate Grads! Thank You Dad!